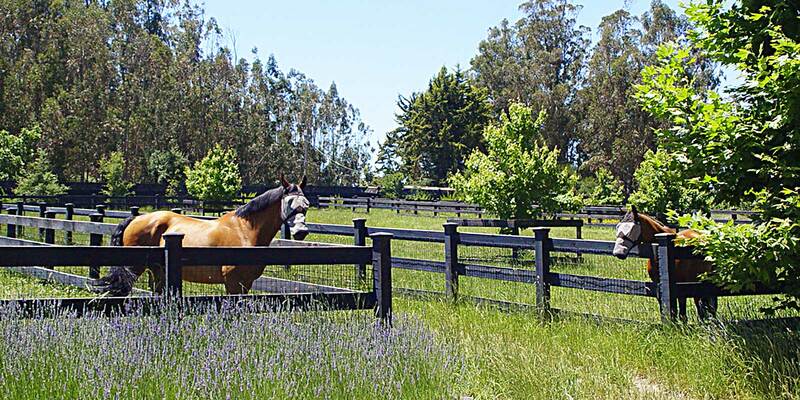 After touring dozens of equestrian facilities throughout Europe, the owners of this 80-acre equestrian ranch contacted Simmonds & Associates to fulfill their dream. 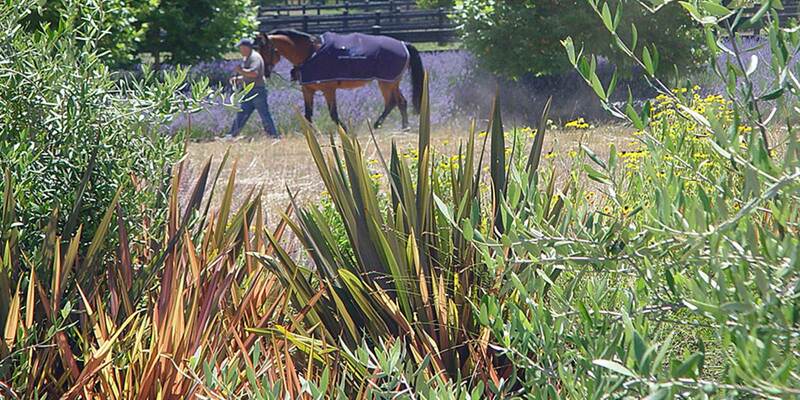 The objective was to create a facility that provides the best possible experience for both horses and their owners. 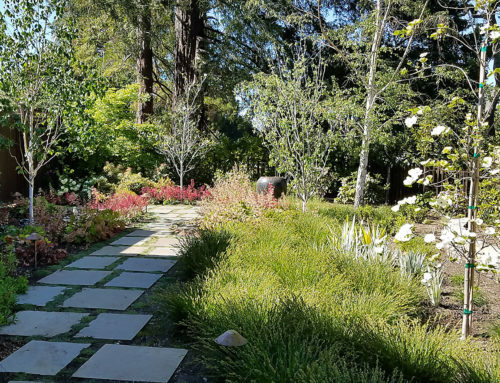 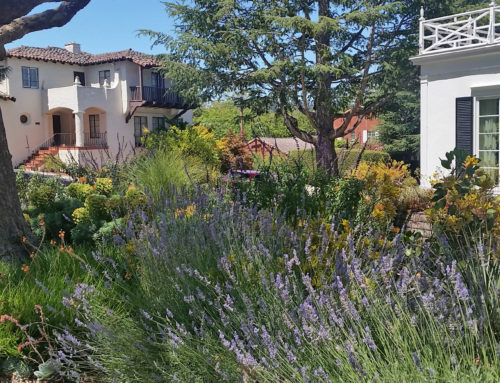 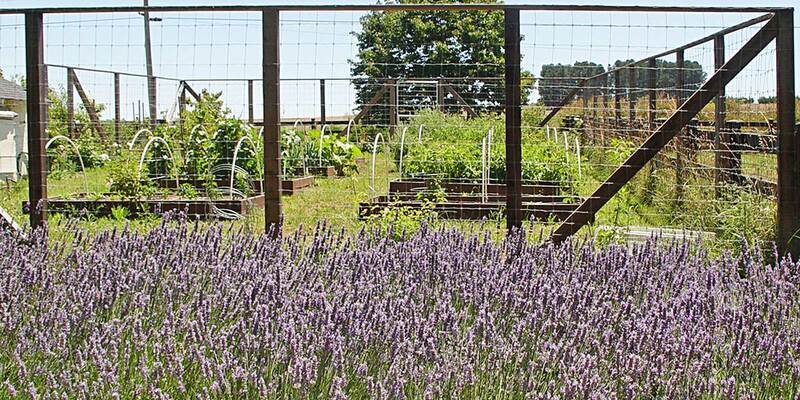 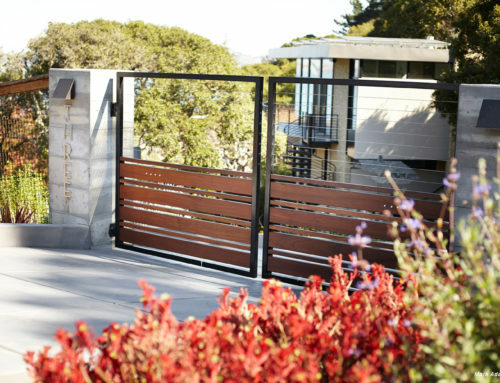 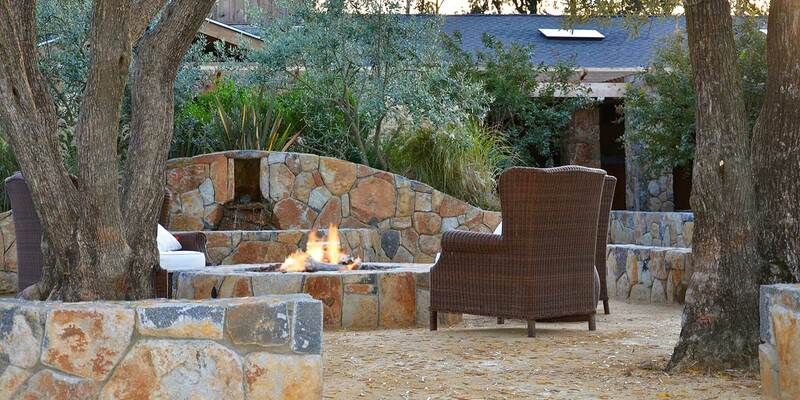 Consequently, Simmonds & Associates blended the owners’ desires with ideas of our own that reflect the Northern California environment. 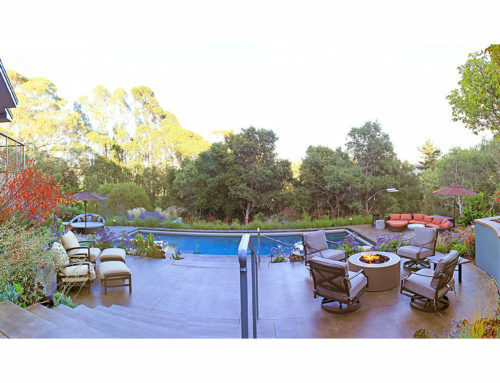 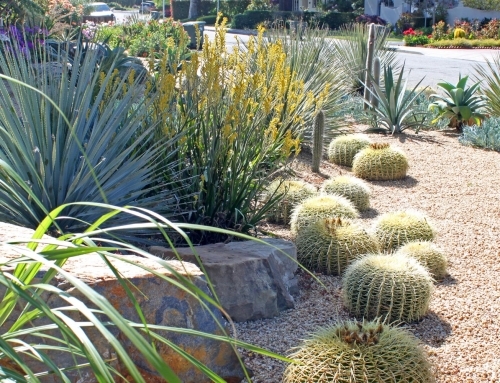 The project included extensive remodeling of all existing structures on the property. 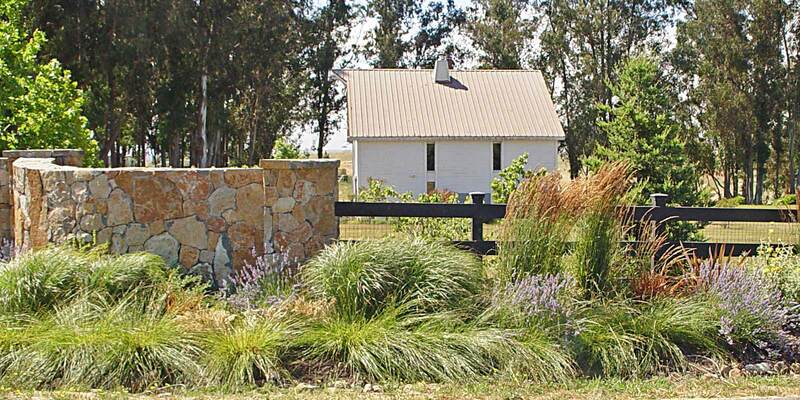 Noteworthy improvements include converting an old barn to the main residence and a water tower to a guest house. 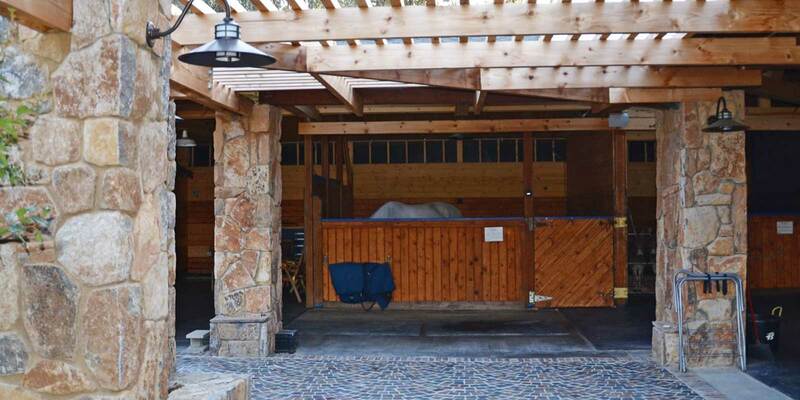 Horse barn renovations provide for improved wash and vet facilities. 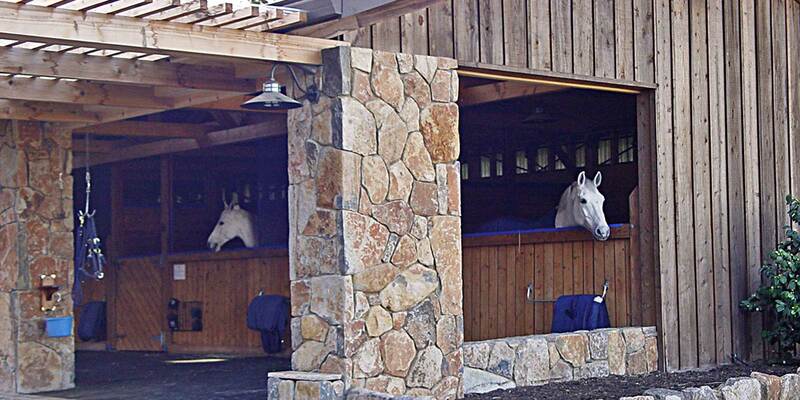 Cobblestone paving around the barn, stone columns, and an arbor provide a wonderful ambiance for the horses and humans. 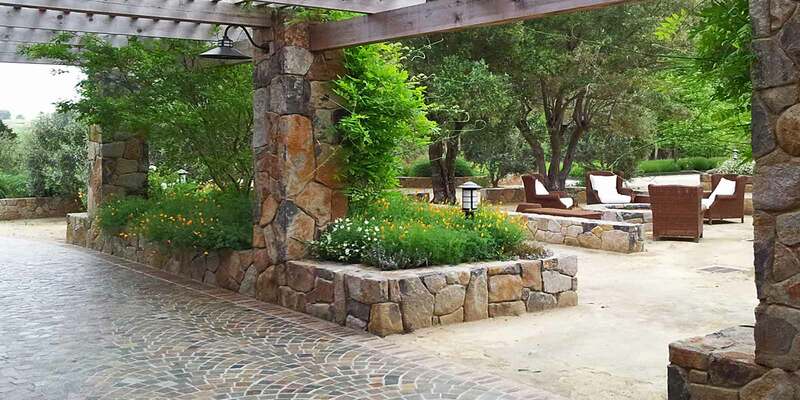 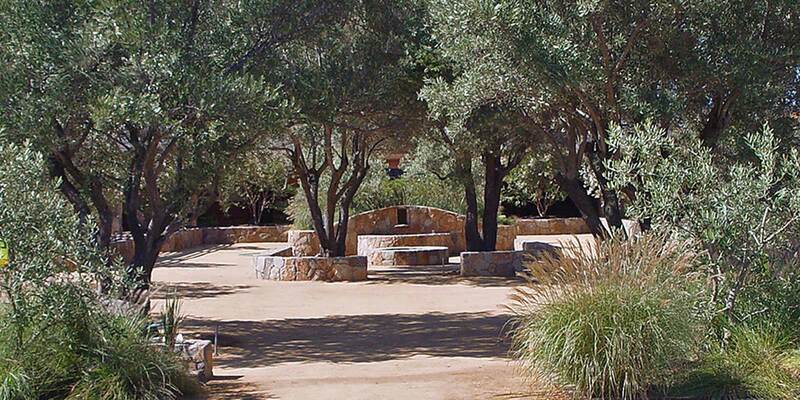 A gathering space with a fire pit and a fountain was created in the central courtyard of the barn, and, in addition, 100-year-old olive trees were imported to surround it. 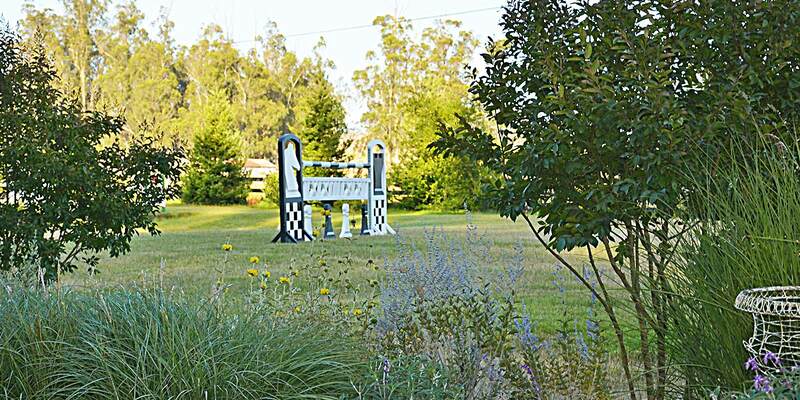 A pavilion overlooking the Grand Prix arena allows for up to 80 people to view the equestrians, or for intimate social gatherings. 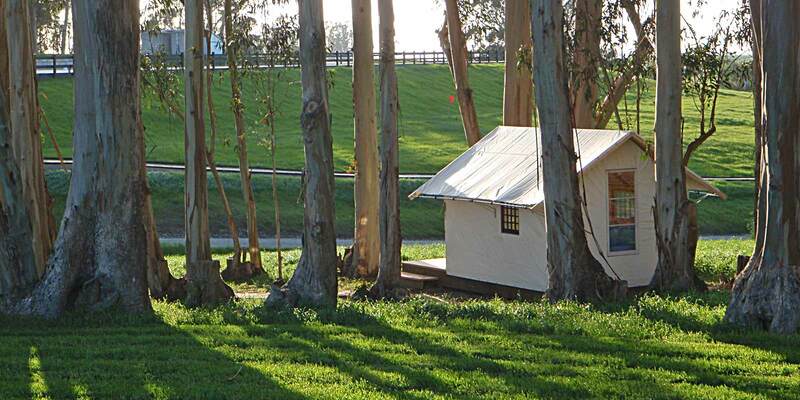 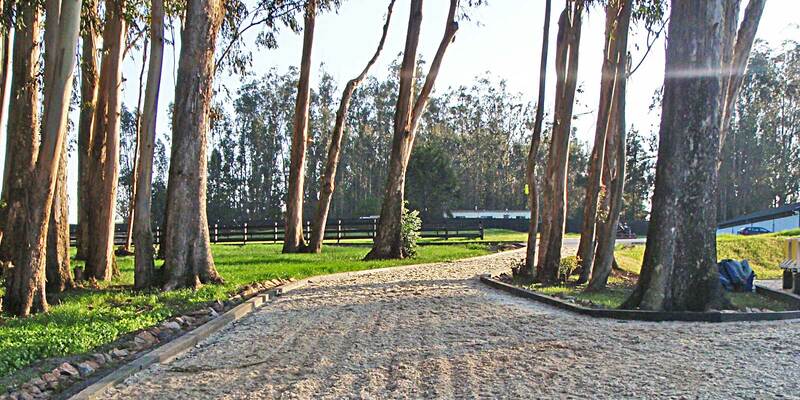 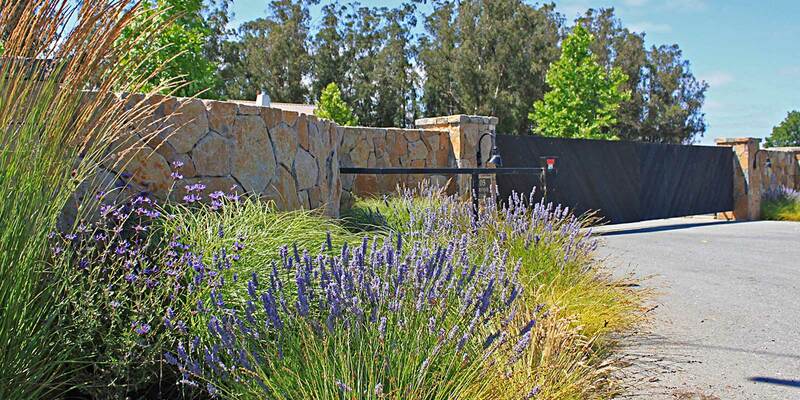 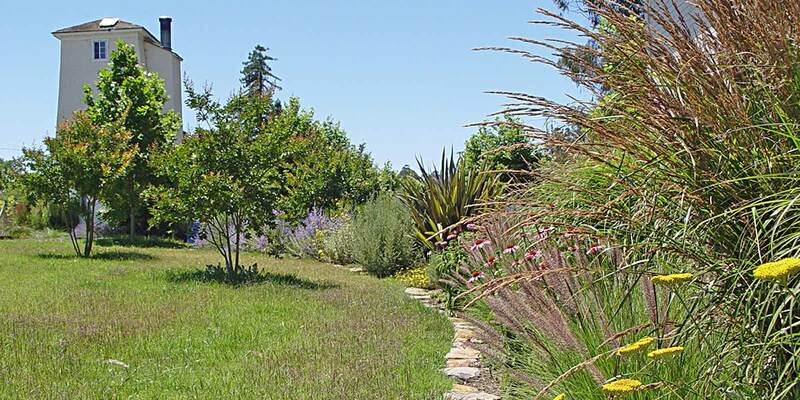 A bridle path winds through the property among pastures and a eucalyptus grove. 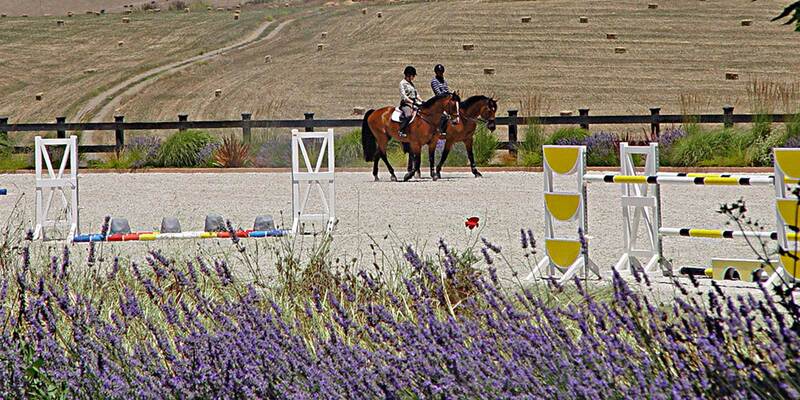 A turf arena with built-in grobs provides an additional arena for schooling the horses.